Will Native Advertising Ultimately Become the Norm? In this week’s edition, Robert and I talk about what the future of content will look like when a trillion devices start talking to each other. 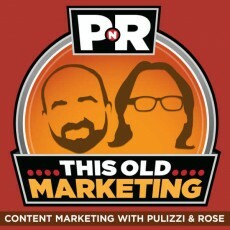 I also explore the latest news on native advertising and the insane growth projected for this technique in 2014, while Robert discusses his thoughts on how marketers are overcomplicating technology. 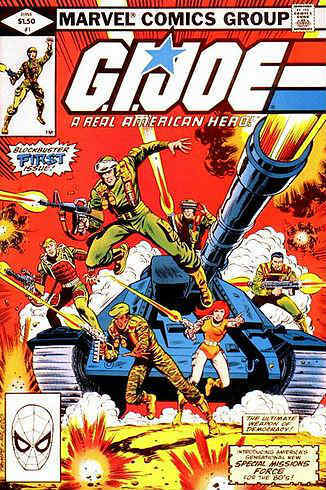 And in this week’s This Old Marketing example, we salute the integrated content strategy of a heroic American brand: G.I. Joe. The Internet of Things: Famed producer, author, and owner of the Golden State Warriors and Los Angeles Dodgers, Peter Guber announced he’s launching a new agency, based on “made media,” or the communication between manufactured things. It’s an interesting concept — made even more interesting in light of Google’s purchase of Nest for $3.2 billion dollars (Contributing article: LinkedIn). Is Native Advertising the New Paywall… and Is It Here to Stay? : We discuss native advertising (yet again), this time focusing on whether or not it is poised to become the rule in advertising (especially for mobile) rather than the exception. This comes on the heels of The New York Times‘ move into native (which I contend isn’t really native advertising), and recent reports that 60 percent (you read that right) of Facebook’s advertising revenues in 2013 came from native advertising (Contributing article: The Guardian). 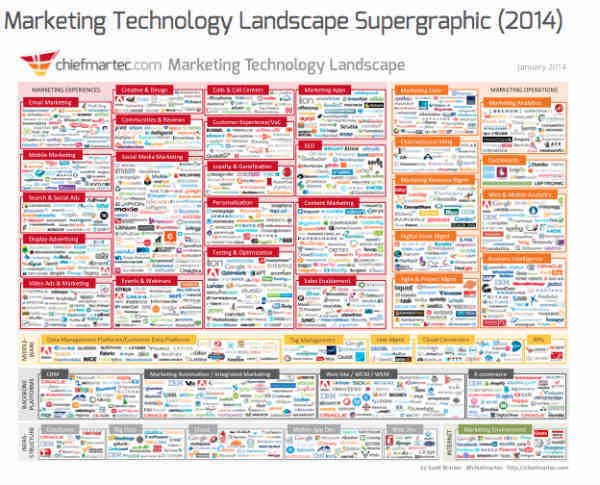 Digital Marketing Is Too Complicated: We comment on the recent landscape infographic by Scott Brinker, depicting the entirety of the marketing services landscape. Unfortunately, content marketers by the dozens are running toward technology solutions to address their challenges, when the majority of them still lack any sort of content marketing strategy. Uh oh! (Contributing article: CMSWire). Robert’s Raves: Robert draws comparisons between content marketing and the insights shared by Seth Godin in his recent blog post, How to Draw an Owl. Joe’s Raves: I discuss The New York Times best seller, Divergent (soon to be a hit movie), by Veronica Roth, and share my remarks on how the placement of chapters at the end teases the next book in the series. Robert shares the story of G.I. Joe, and the strategy behind how the comic book came to sell more action figures, through some interesting integrations with television. If you enjoyed this podcast, Robert and I would appreciate if you could post your review on iTunes. For a full list of the PNR archives, go to the main This Old Marketing page.